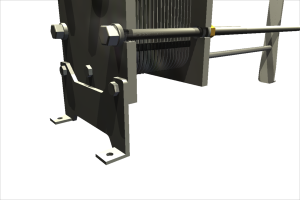 Add additional cooling to your Thermaline wort cooler using your existing frame. Step 1. Calculate your BTU load and use Step 1's table to match your model (table 1). Step 2. Verify you have a 3-port configuration on your unit (figure 2). Step 3. Confirm your model and rail length can accommodate the additional section (table 3). Can't find a match? You can still use a standalone glycol chiller. Wort coolers are manufactured with 2, 3, or 4 ports on the fixed head. 3 ports are needed to add an additional glycol section. Confirm your unit has at least the 3 ports as pictured below. Barrels: The size of your brew kettle that you will need to cool. Knockout time: The length of time to cool entire volume of brew kettle from boiling to your desired temperature. Wort outlet temperature: The temperature your wort must be when it exits the heat exchanger. 68°F is the typical desired outlet temperature for ales while 50°F is the general desired outlet temperature for lagers. Cooling media inlet temperature: Your cooling media will be city/well water, cold liquor or glycol. Please make sure to use your worst case city/well water temp to ensure your wort chiller will perform the same in the summer months as well as the rest of the year. Cold liquor (chilled water) is used in wort chilling applications as an alternative to a two-stage unit to keep the cost and size of the wort chiller down. You will need a cold liquor tank, pump and valves as well as the wort chiller to make this setup functional. A single-stage unit is used when the media (city/well water or cold liquor) is cold enough (8°F colder than your desired wort outlet) to cool the wort down to the desired temp without using glycol as a secondary cooling media. 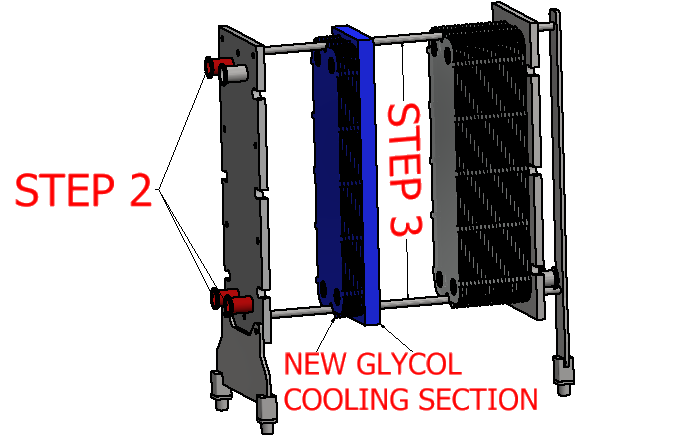 A two-stage unit is used when the primary media (city/well water) is warmer than the desired wort outlet temp and requires glycol as a secondary cooling media. Water temperature in: A two-stage unit requires both city/well-water and either glycol or chilled liquor. Please select the worst-case (warmest) ambient temperature of your city/well-water. Glycol or cold liquor temp in: Cold liquor or glycol are used in the second stage of a two-stage wort-cooler to bring the wort to its desired temperature. Please make sure to use your worst case city/well water temp to ensure your wort chiller will perform the same in the summer months as well as the rest of the year. 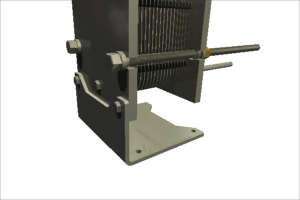 Adjustable/Ball-style feet are used on free standing heat exchangers that rest directly on the floor. 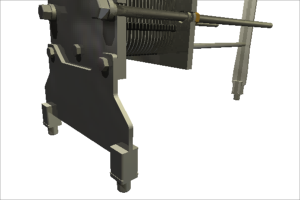 The height of each of each foot can be adjusted, making it easy to level the exchanger. 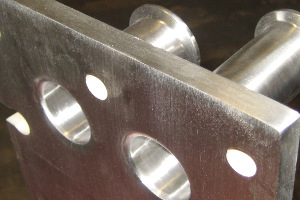 Mounting tabs are used on free standing heat exchangers that are fixed to a frame, or anchored to the floor. 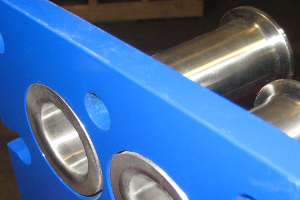 The mounting tab option provides three bolt holes with which to secure the unit. The Universal bracket (available in the T4 and T8 Models) provides the most mounting options. It can be assembled in multiple positions, allowing the heat exchanger to be secured to the floor, wall, ceiling or to a frame. Carbon steel frames are made from powder coated mild steel, which is more economical than stainless steel but prone to corrosion. Stainless steel frames are made from polished solid 304 SS and are corrosion resistant in wash-down environments. A single-stage unit is used when the media (city/well water or cold liquor) is cold enough (8 Degrees F colder than your desired wort outlet) to cool the wort down to the desired temp without using glycol as a secondary cooling media. Still have questions? Send an email.